Shares of the iShares MSCI Brazil Capped ETF (NYSEArca: EWZ) surged Wednesday on news that former Brazilian President Luiz Inacio Lula da Silva was convicted on corruption charges. In the second quarter, EWZ slumped as another political scandal rocked Latin America’s largest economy. Brazil’s latest brush with political volatility involves a corruption scandal surrounding President Michel Temer. EWZ and Brazilian assets are not strangers to corruption fears. It was corruption allegations that were the undoing of former President Dilma Rousseff and ultimately forced her impeachment. The current administration is being stung by the new corruption investigation. 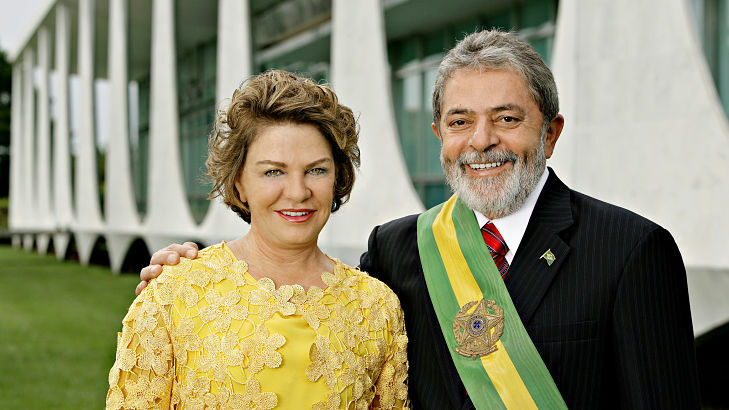 Rousseff was selected by Lula to be his successor and she presided over one of Brazil’s worst recessions. “The case against Mr. da Silva, who raised Brazil’s profile on the world stage as president from 2003 to 2010, stemmed from charges that he and his wife illegally received about $1.1 million in improvements and expenses for a beachfront apartment from a construction company,” reports the New York Times. The $5.6 billion EWZ tracks the MSCI Brazil 25/50 and holds almost 60 stocks. Political volatility can be damaging to the ETF and Brazilian stocks because the country’s equity market is historically more volatile than broader emerging markets benchmarks. EWZ’s three-year standard deviation is 36.7%, more than double the comparable metric on the MSCI Emerging Markets Index. “Lula’s two-terms were marked by a commodity boom that momentarily made Brazil one of the world’s fastest-growing economies. His ambitious foreign policies, aligning Brazil with other big developing nations, raised the country’s profile on the global stage,” reports Reuters.